Macey Lundmark did a little bit of everything Monday night. The stat sheet confirmed it. 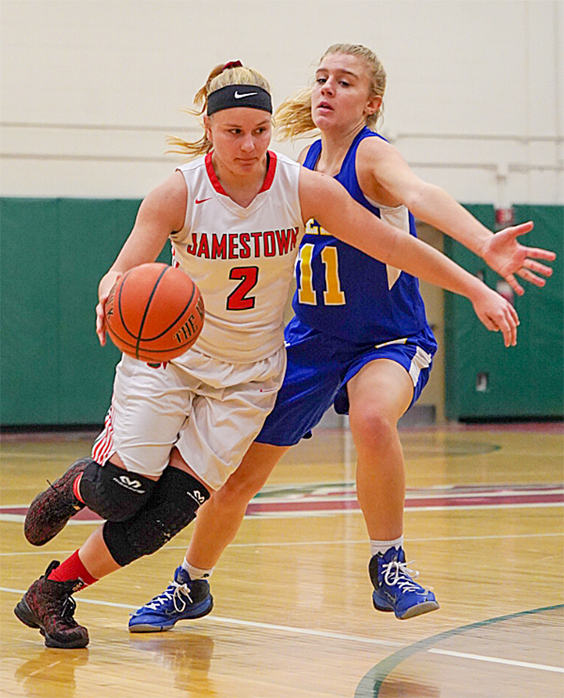 The Jamestown senior tri-captain scored a game-high 16 points, grabbed 10 rebounds, dished out 10 assists, and added four steals and two blocks to propel the Lady Red Raiders to a 66-41 victory over West Seneca West in an Erie County Interscholastic Conference Division 1 basketball game. In combination with another fine outing from senior tri-captain Allie Stockwell (15 points, eight rebounds, four steals and two assists), Jamestown (8-11, 5-7), which has won four straight, seems to be hitting on all cylinders at precisely the right time. Coach Tim Anderson is certainly pleased. Sparked by strong play in the second and fourth quarters — the Lady Red Raiders scored a combined 41 points — the hosts cruised to the win on the heels of victories last Wednesday against Clarence, last Friday against Lancaster and last Saturday against Tapestry. In addition to Lundmark and Stockwell, Lauren Tracey added 10 points, Kira Ricker had 8 and Gioconda Calamunci chipped in 7. Meghan Gill had 7 points for West Seneca West (4-14, 1-10). Jamestown ends its regular season Friday when it travels to Niagara Wheatfield for a nonleague game. Its first playoff game won’t be for two weeks. 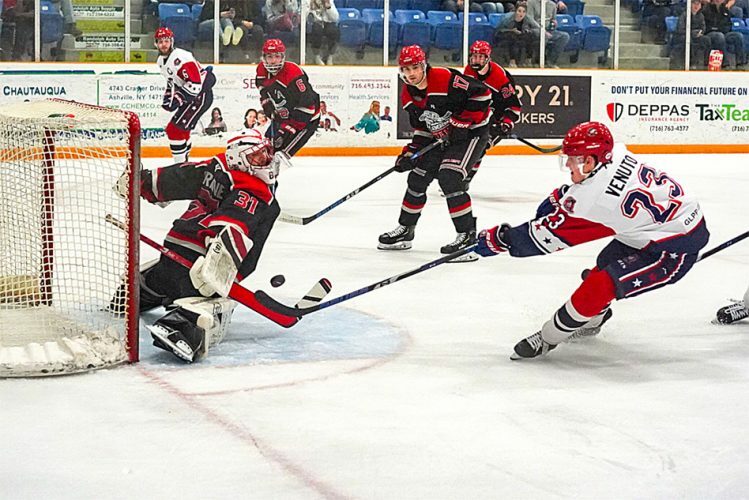 “I think we feel confident as the year has gone on that we can give anybody a game and that we can kind of make a little run in the playoffs if we’re playing the right way,” Anderson said. The Lady Red Raiders sure looked the part last night. “When our best players are leading us, we’re going to win a lot of games,” Anderson said. 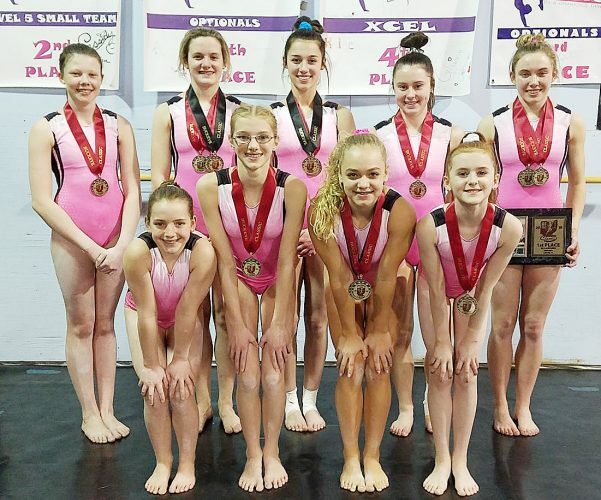 Smith 2 0 6, Mrzyglod 1 2 5, Held 1 0 2, Loffredo 3 0 6, Vanderlip 2 0 6, Gill 3 1 7, Calabrese 2 1 5, Totals 16 4 41. Gates 1 0 3, Lundmark 4 6 16, Graham 0 0 0, Ricker 2 3 8, Holdridge 1 1 3, Tracey 3 2 10, Stockwell 5 5 15, Calamunci 3 0 7, Johnson 0 2 2, Karash 1 0 2, Totals 20 19 66. 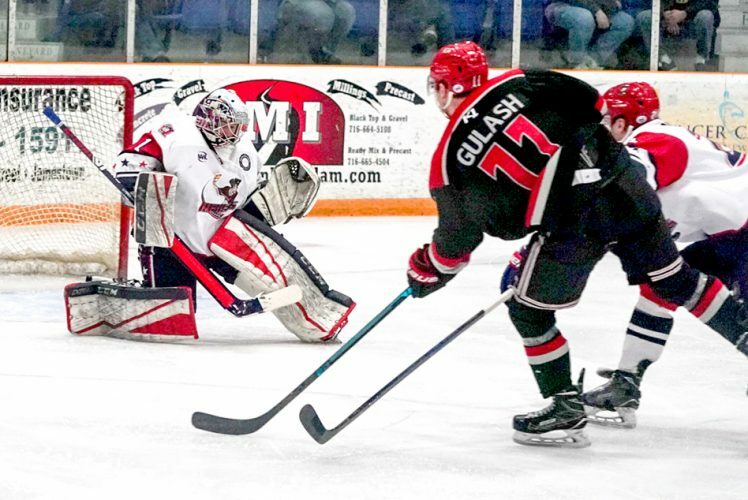 3-point goals–Smith 2, Mrzyglod, Vanderlip 2, Gates, Lundmark 2, Ricker, Tracey, Calamunci.